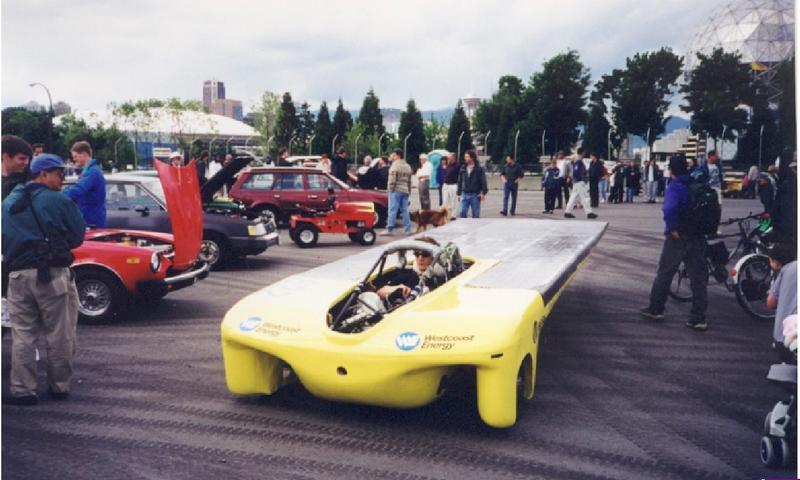 In 1998, while in my first year of University, I worked with a team of senior engineering physics students to design and build the first UBC Solar Car. Specifically, my main responsibility was the design and fabrication of the fiberglass wheel fairings. Also, I assisted a senior engineering physics student to manage the fabrication of the vaccuum-bagged aeroshell. I worked with the team to perform lay-ups with Kevlar and carbon fiber. The following year, once the senior students graduated, I took over the project and I managed the remaining team members. By launching an aggressive recruitment and fundraising campaign, I built the team back up to it’s original strength. Once we had upgraded and debugging most of the components, I led the team to race the car in Washington DC at the 1999 Sunrayce. After a catastrophic failure during the final qualification round, my team and I joined USMA to help them during the race to Orlando, Florida.